So why do people fear success? Another major problem is the fact that success equals change. This is the same with writers. 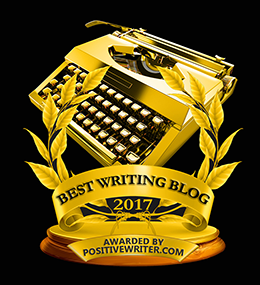 Writers often fear success because the think they might not be able to sustain the success or that they don’t want the recognition or spotlight that comes with being a successful writer. You procrastinate–You want to write, but you’re too busy. Or too tired. Or have too much work to do. Or need to make dinner. Or will write in five minutes when your favorite TV show is over. No matter how much you want to write, you just can’t seem to sit down and do it. You have a negative outlook on your writing–Always talking badly about yourself regarding your writing (this sounds something like, “Why should I write? No one will ever publish it,” or “Writing is a waste of my time because there’s too much competition”). You don’t believe in yourself or your writing dreams. You don’t think you can do it. You talk the talk, but don’t walk the walk–You’re always talking about your writing dreams and how you want to be a writer for a living. You tell people about all the stories you want to write, all the ideas for novels you have written in your notebook. But then you never write. You do everything BUT write. Handling Fear of Success, from LiveStrong.com. Success can be overwhelming. It can cause things to change. But it can also be fun and joyful and your dreams coming true. Remember what FEAR stands for–False Expectations Appearing Real. Writers fear success because it’s unknown. There’s no way to plan for it; no way to predict it; no way to know how things will end up. That’s the beauty in it though. When you learn to release the grasp that fear has on you and actually sit down and get some writing done, you’ll start to realize that being successful doesn’t have to be scary. In fact, it can be pretty awesome. Know that you can continue to learn anything you need to know to keep being a successful writer. Education isn’t going anywhere. There will always be colleges, online courses, writing teachers, information websites and blogs dedicated to helping you stay current in the world of writing.